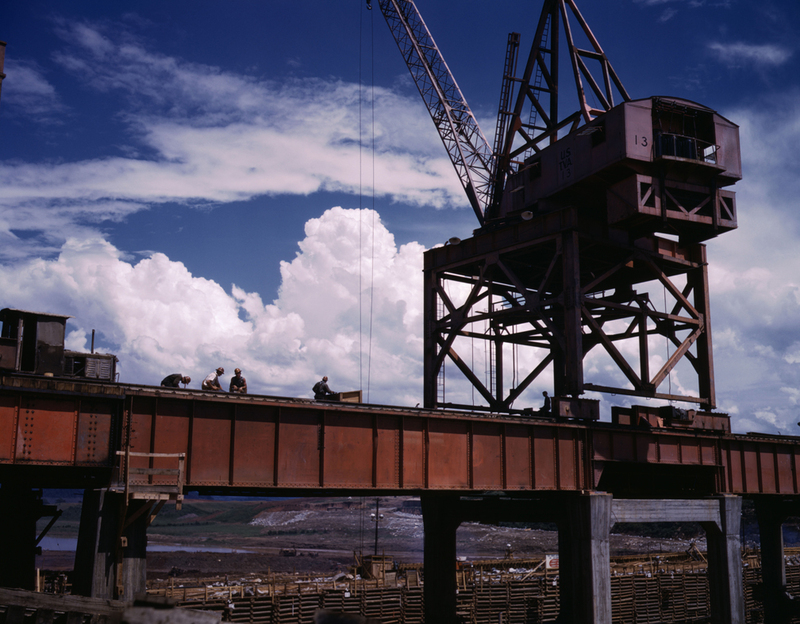 THE 1940’s TVA IN COLOR | A Continuous Lean. 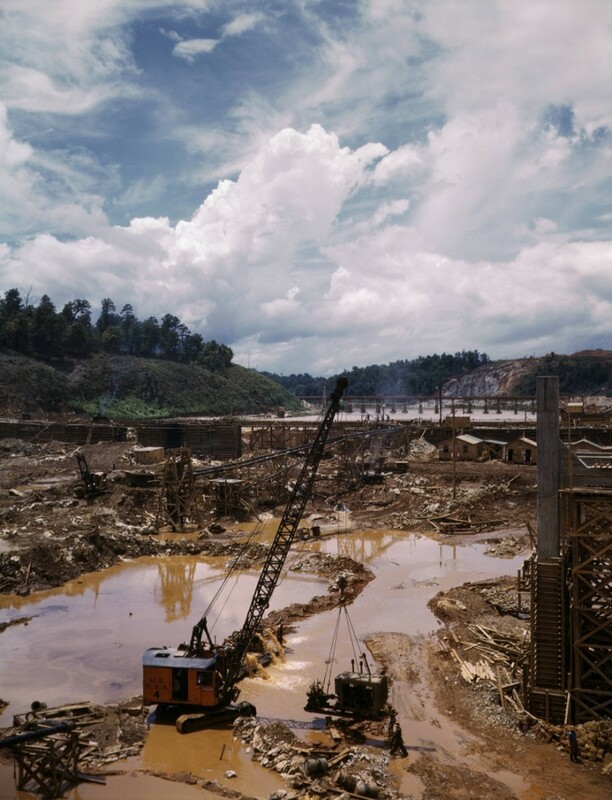 At some point during my adventure to The Shoals with Mr. Billy Reid someone mentioned that the Tennessee Valley Authority was based in the area, which made sense considering the Wilson dam and its lake that we relaxed on. I remember the TVA from high school history class, though I have to admit I never thought much about it. When I got back to NYC after my trip to Alabama I started to read-up on the subject and I learned a lot. And it wasn’t until recently that I became aware of the role of the TVA during WWII. 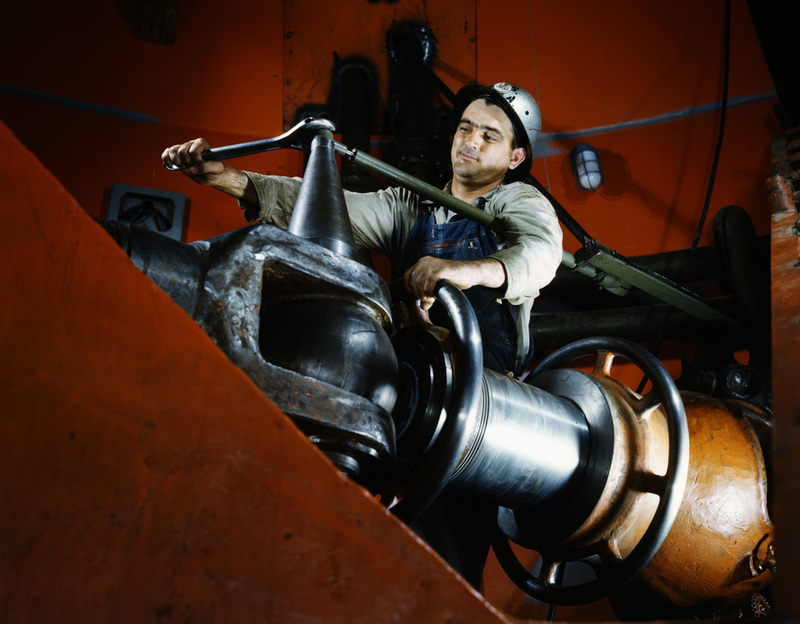 The power generated through the TVA hydroelectric system was of strategic importance to the war effort as it supplied Tennessee’s Oak Ridge National Laboratory during its work on the Manhattan Project. 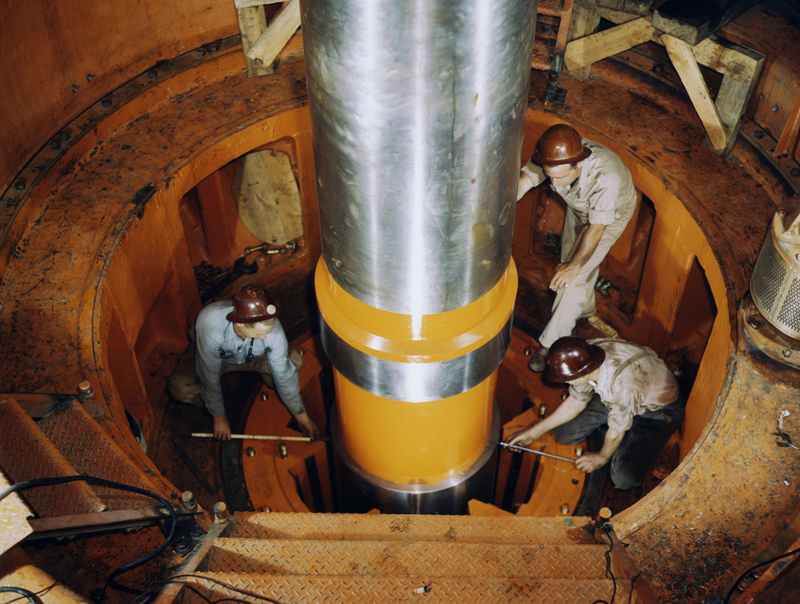 Oak Ridge needed millions of kilowatts of energy for uranium enrichment, and the government needed a way to divert these enormous amounts of power without arousing detection. What’s more interesting to me is the fact that all of this managed to happen in secret. The wartime chairman of the TVA didn’t even learn about the TVA’s role in powering Oak Ridge until 1945. I suppose my interest in the TVA and Oak Ridge was further advanced by my recent viewing of Fat Man and Little Boy starring Paul Newman. 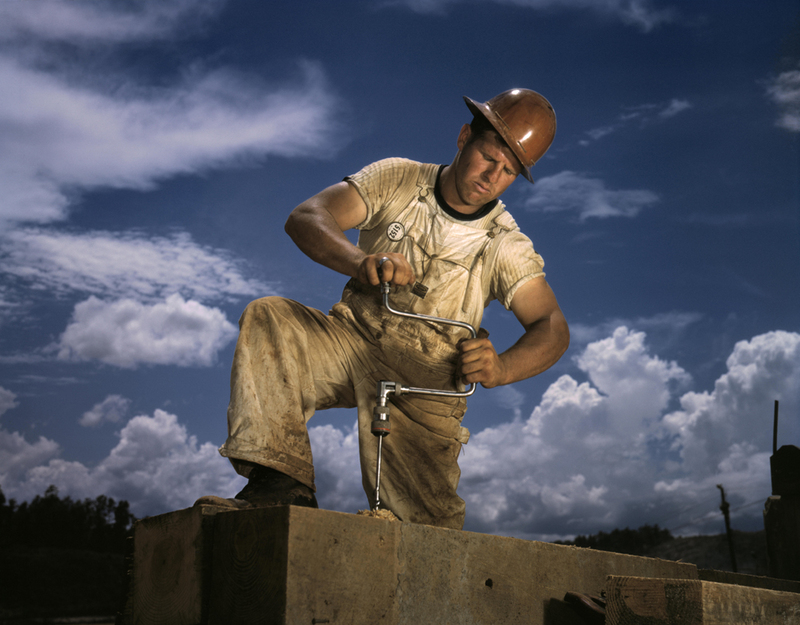 It was during my recent delve into the TVA that I established the connection between the Shoals, the TVA and Office of War Information photographer Alfred Palmer’s amazing photographs of the TVA during its construction in June 1942. These amazing color images have been floating around the Flickr universe for a long time, but they are especially poignant to me when considering my recent trip and the historical context. Palmer’s TVA images are so amazing, I really have a hard time accecpting the fact that they are real. Granted, they are highly staged (as most images of the time were; especially Office of War Information images), but as far as workwear goes these are as good as it gets. I think ACL needs to come out w/ a TVA t-shirt, looked for one some months backs for and came up empty. Wow. 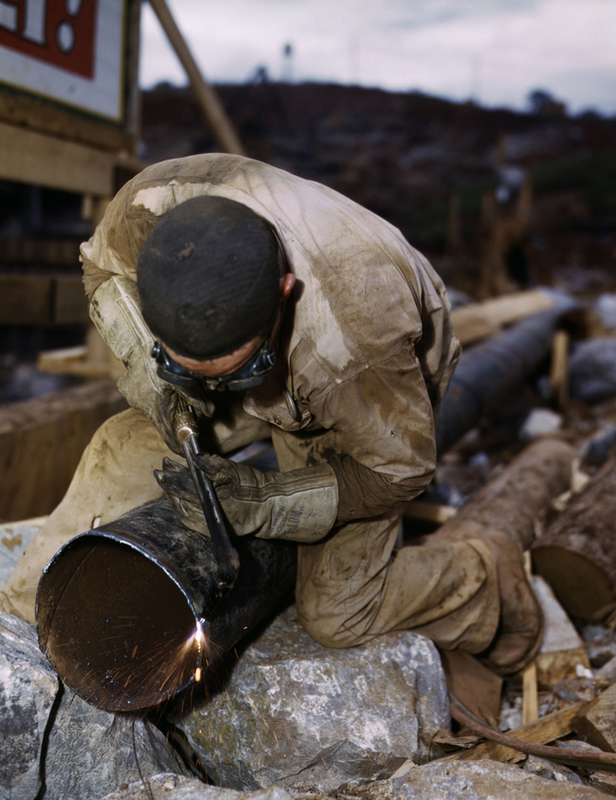 Why would anyone work in all of that great workwear? That stuff must be worth thousands. 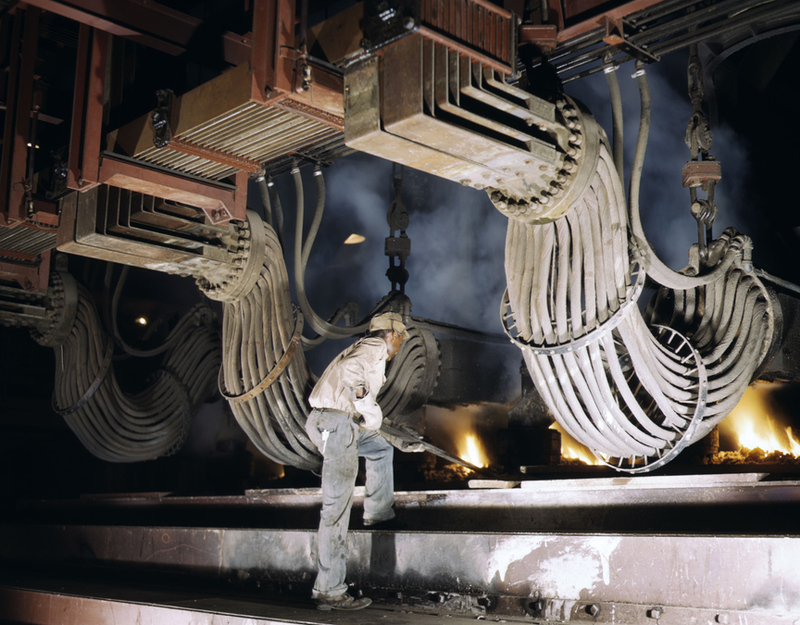 Cool shots, but the TVA has some skeletons that have hurt many. Look up the coal ash slicks. Many of us here in Tennessee have a love hate relationship with TVA, mostly because they keep the lights on and keep the bank accounts above water. Drive-By Truckers have a couple great songs that look at the TVA from both sides: “Uncle Frank” and “TVA”. TVA brought the Appalachian region out of the dark ages. Many East Tennesseans went from candles to electric lamps within a matter of months. I grew up on Norris Lake and my in laws live just below Norris Dam in Clinton, TN. It is a beautiful place to live! TVA is an important part of the area in a positive and not-so-positive aspect. I have a unique interest in these photos as an employee of Dickies Workwear. They look great! Way to go, Steve. Way to completely ignore what James had said. Progress is subjective, you may want to develop a sensitivity towards how others view it. Not sure if your response is for me. My point is simply that I enjoyed the benefits of tva similar to James. TVA has done a lot of good things for my hometown. They did create overnight progress for the area which brought it out of poverty. My comments wre not directed towards any other posts. By the way, have you ever experienced east tn first hand? By the way, there is a section of Norris lake called Loyston Sea. The town of Loyston was relocated and flooded. It was one of those small, poor towns that was permanently affected by tva. There were many different demographic groups who were affected by this project. However the long term benefits are still being felt today. These pics represent a new way of life for millions of people in the southeast. 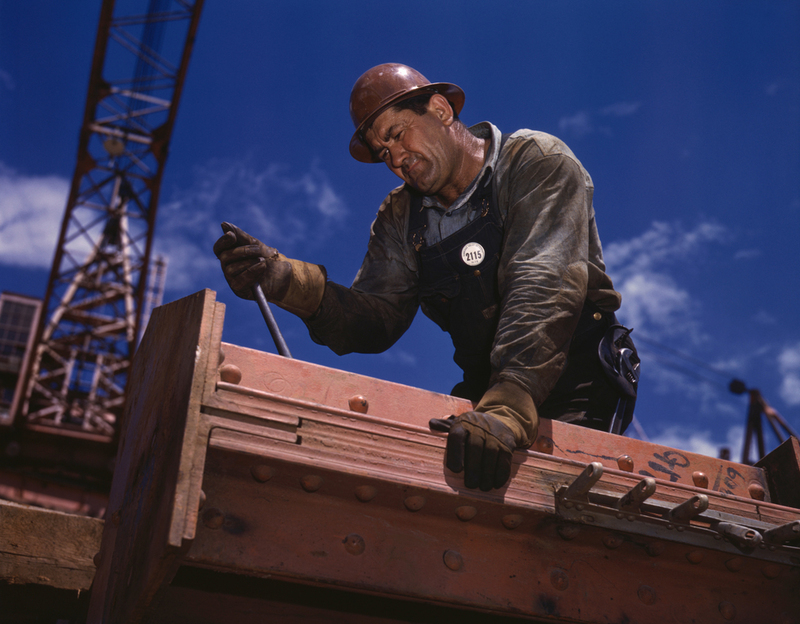 Interesting set of photos and you gotta love Kodachrome to capture color way back then. The main reason why the photos were staged was that Kodachrome slide film had a really slow ISO speed (ISO 10 for 4×5 sheet film) compared to current slide film still available and shot in Crown Graphic Press cameras. . Props to Steve for the comments on DBT’s work. Patterson Hood and crew provide a very insightful history of the Shoals to listeners who take the time to dig in to the lyrics. Having grown up in the area and only recently moved away, you don’t appreciate something until you’ve left it behind. The funny thing about the whole situation is that “you” (referring to anybody, though) as a tourist could show up in the tri-cities region of NW Alabama and be bored to tears. It takes a lot of time to really dig in to the minutiae of historical details that are the foundation for the region. On a side note, I just discovered this blog via Uncrate, and think it is definitely a small world as I was at the Billy Reid party that the author of this site mentioned. Fun times.